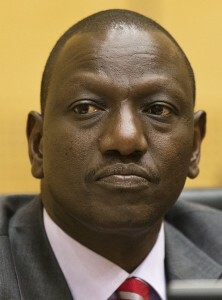 It was reported earlier this month​,​ that at the upcoming Assembly of States Parties meeting in November, Kenya will ​seek an amendment to Rule 68 which has recently been applied in the case of Deputy President William Ruto (pictured). The rule enabled the ​ICC to admit pre-recorded evidence from witnesses who have since re​canted​ their testimony. Mr Ruto has been charged with committing crimes against humanity following the 2008 post-election violence that saw 1,113 people killed and over 600,000 displaced.